WHEN: Friday (May 6), 9:00 p.m. The great folks over at the Tribeca Grand Hotel decided to host me for a fantastic dinner at their restaurant. 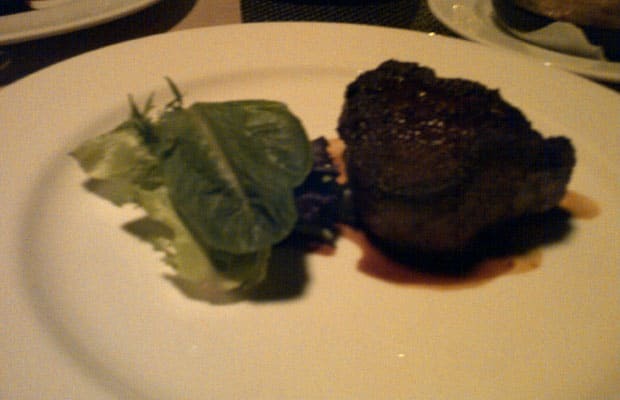 Everything tasted incredible, from the petit filet steak and the scallops to the crab cake and the potato frites. Apparently they have some of the best-cut steaks in the city, and for an extremely reasonable price. This was my first time eating my steak medium rare and I don’t think I can ever go back to medium well. If you decided to visit this restaurant, make sure you ask for the concierge, Ariel. Tell him that I sent you!